Over the last few weeks America’s Bookie and HH Forum have been working on having a great poker tournament format for the readers and the posters of our great forum. We have come up with what we think is a great format that will benefit both of us equally well. We get great posters and poker tournaments and the book gets some great advertising for the new poker room as well as gaining new and old players alike. At 9 pm EST on every Thursday night and Sunday night during the NFL Season we will be having a Texas Hold’em Poker Tournament in their new browser based poker room. There is no download needed. We will be giving away $200 in CASH with NO ROLLOVER to the winner. All it requires is a $5 to buy into the tournament. 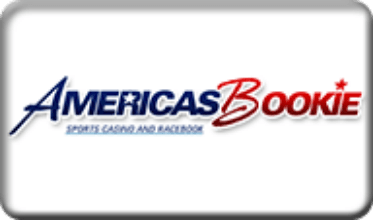 Just fund your account at America’s Bookie and get ready to play in our tournaments twice a week!!!! Owen from America’s Bookie and Dirty will also play in as many tournaments they can and there will be a BOUNTY on one of their heads in each and every tournament. Bounty amount will be determined by participation. Also look below for the “Dirty” and Handicappers Hideaway Deposit Bonus on Every Deposit you make. Make America’s Bookie a must have out in your online sports betting arsenal. To sign up for this great book and get a part of this Great Deposit Bonus Option. Only way to get this Bonus is to Mention “Dirty” or Handicappers Hideaway!!! Previous: BetPhoenix has a 100% CASH Bonus on Tuesday and Wednesdays using Person2Person and BitCoin!! !